Are you the predator or the prey? 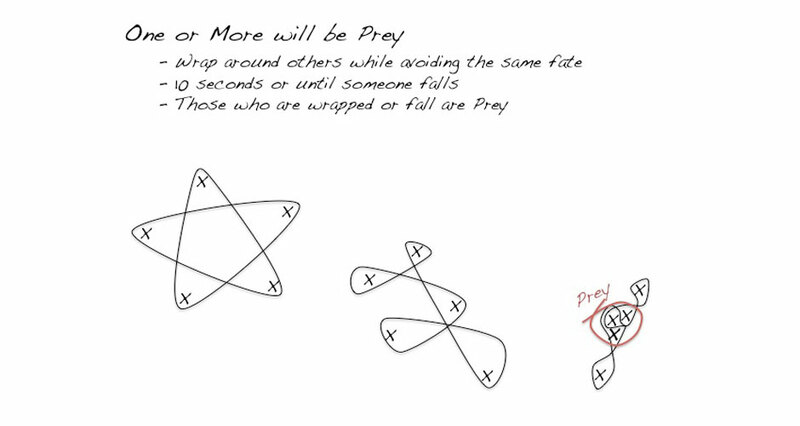 In Prey, five brave souls will climb into a star made of rope for The Ritual. 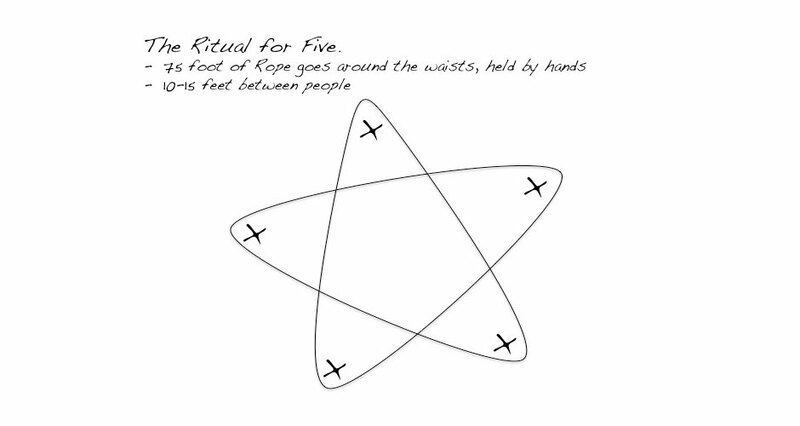 Once The Ritual begins, all participants will attempt to wrap up the others in the rope while trying to remain free. Once one or more participants are wrapped up, the Prey is established and The Ritual is complete! Dr. Scott Nicholson is an Associate Professor at Syracuse University’s School of Information Studies and the Director of the Because Play Matters game lab. His areas of interest include meaningful gamification and the creation of transformative games for informal learning and training. During the 2011-2012 academic year, he was a visiting professor at MIT in Comparative Media Studies and the GAMBIT game lab. Dr. Nicholson is a published board game designer, wrote the book Everyone Plays at the Library, and was an academic reference librarian. His research blog is at http://becauseplaymatters.com.